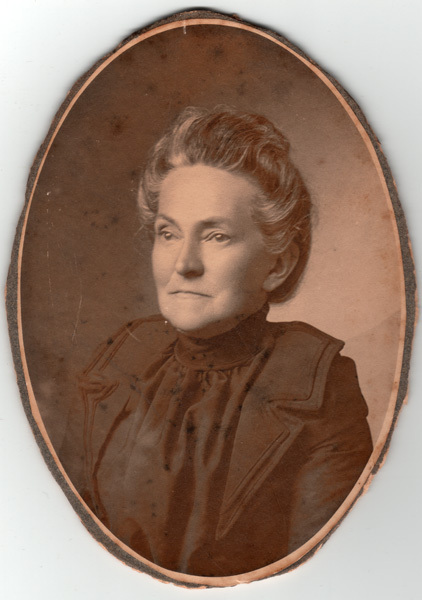 Cary Ann Coleman was born on May 18, 1840, and was the daughter of John Harris Coleman and Sarah Nelson (Nicholas) Coleman of Locust Shades Farm (now called Totier) in Albemarle County, Virginia. On September 24, 1866, Cary married James Nelson Moon (1836-1898) in Albemarle County Virginia. James was the son of John Digges Moon and Elizabeth (Barclay) Moon and a Civil War veteran. To learn more about James' Civil War service, visit James Nelson Moon, Mosby's Rangers. Orie Moon (L) and Cary Ann (Coleman) Moon (R) at Shirland, ca. 1900. Following is a photo of Cary Moon's son-in-law, Nathaniel T. Sclater (husband of Anna Moylin Moon), and two of Cary's sons, Frank Russell Moon and Cary Nelson Moon, at Shirland in ca 1935. 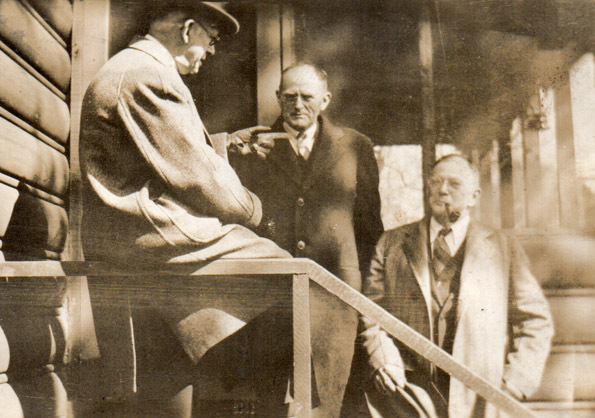 (L to R): Nathaniel T. Sclater, Frank Russell Moon, and Cary Nelson Moon at Shirland ca. 1935. The Shirland farm property remained in the Moon family until Dr. Cary N. Moon sold it in 1986. This Shirland home is located on a hill near Langhorne Rd. (Rt. 626) just southwest of Totier Creek and on the northwest outskirts of Scottsville. Cary Ann (Coleman) Moon and James Nelson Moon were the parents of the following children: Orie Lewis Moon (1868-1938), Mary Barclay Moon (1870-1943), Lindsay Coleman Moon (1872-1895), Frank Russell Moon (1875-1955), Frances Nicholas Moon (1877-1953), Cary Nelson Moon (1880-1953), and Anna Moylin Moon (1883-1968). 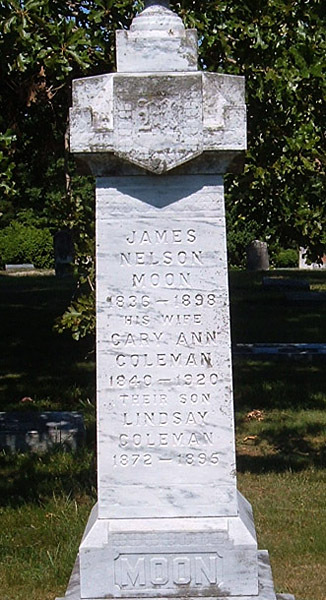 James Nelson Moon passed away on September 20, 1898, and his wife, Cary Ann (Coleman) Moon continued living at Shirland where she passed away on December 27, 1920. James and Cary Moon are buried beside their son, Lindsay, at Scottsville Cemetery in Scottsville, VA; see their gravestone below. This photo of Cary Ann (Coleman) Moon was provided courtesy of Cenie Re Sturm, Scottsville, VA. 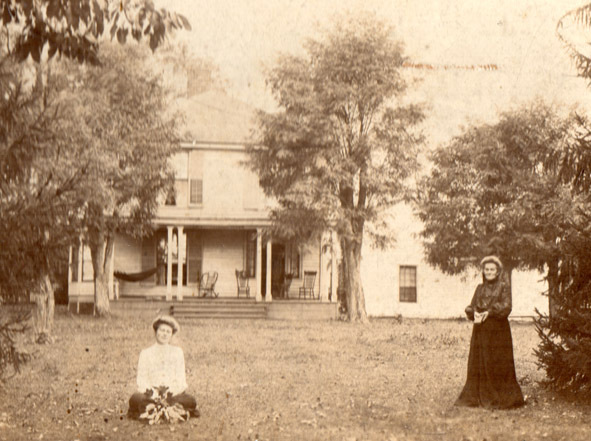 This photo of the three Moon cousins was provided courtesy of Cenie Re Sturm, Scottsville, VA.
2. Marriages of Albemarle County and Charlottesville, Virginia, 1781-1929 by William L. Norford, p. 135. (Jarman Printing Company, Charlottesville, Virginia: 1956). 3. 1870 U.S. Federal Census, St. Annes Parish, Albemarle County, VA; Enumeration District, 18 July 1870, p. 46. 4. 1880 U.S. Federal Census, Scottsville, Albemarle County, VA; Enumeration District 9, Dwelling: 29, 01 June 1880, p. 4. 5. 1900 U.S. Federal Census, Scottsville Magisterial District, Porters Precinct, Albemarle County, VA; Enumeration District 11, Dwelling 11, p. 5. 6. 1920 U.S. Federal Census, Scottsville, Albemarle County, VA; Enumeration District 16, Dwelling 7, p. 1A. 8. Early Cabell Family Graveyards by Archer Minardi, 2008; Burials at Travelers Rest House Cemetery, Buckingham County, VA; p. 62-67.